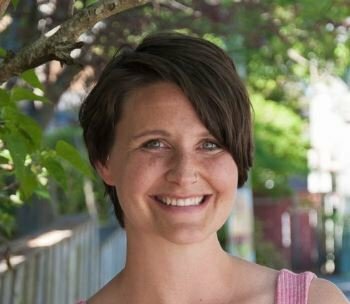 June 18, 2018 (Victoria, BC) – Victoria’s lack of family-friendly housing is hurting the city’s vibrancy and future says Grace Lore, the only council candidate under 35 with young children. At her campaign launch yesterday in Fernwood Square, Grace unveiled her vision for a vibrant, inclusive Victoria with more and better housing options for families. More housing that works for young families, including townhouses, housing co-ops, suitable laneway homes, and more garden suites. Building multi-use, intergenerational, and inter-cultural spaces in collaboration with community organizations, like more daycares and preschools. 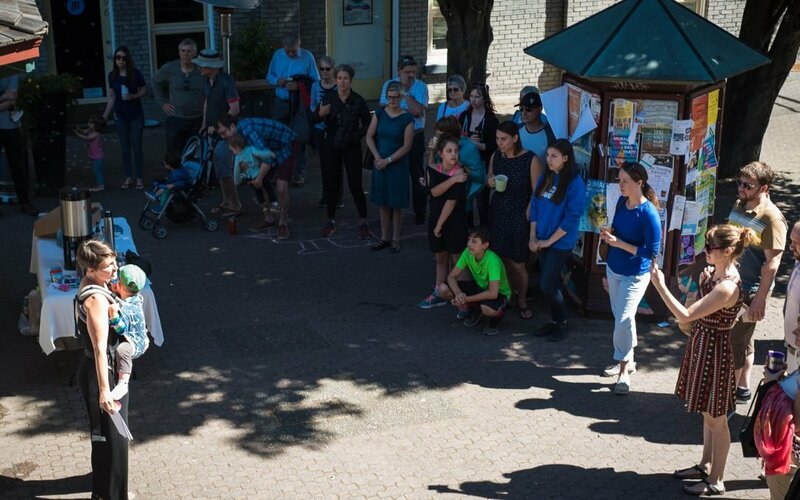 Supporting walkable neighbourhoods, urban villages, and community assets, like squares, parks, and markets, which prioritize family, public and mental health, and neighbourhood diversity and inclusion. Victoria has only about half as many children under 14 as comparable Canadian cities (17% vs 9%), despite having roughly the same number of 25-40 year-olds. Grace is self-employed, a marathon runner, mom to two and long-time volunteer at the sexual assault centre. She also teaches at UVIC, is a sought-after political commentator, researcher and advocate. Grace has a Ph.D. in Political Science.